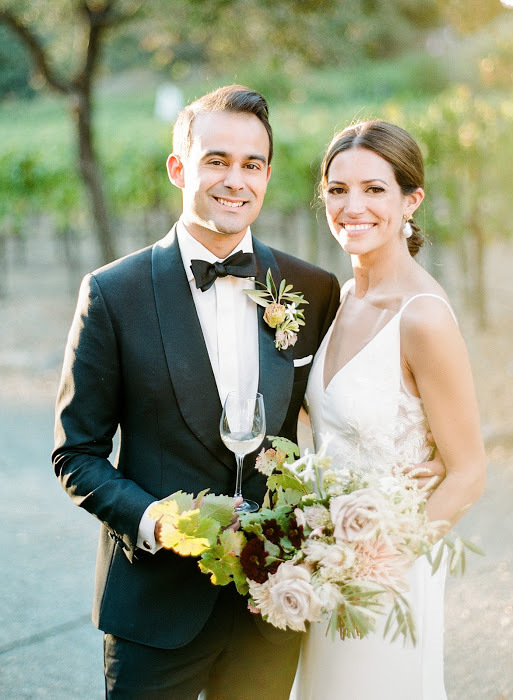 Our bride and groom are lavishly stylish couple from New York with a love and passion for wine, so of course Napa Valley was the perfect location for them to tie the knot. Cristina wanted a makeup look that was authentic, barely there, yet accentuated her beautiful features. 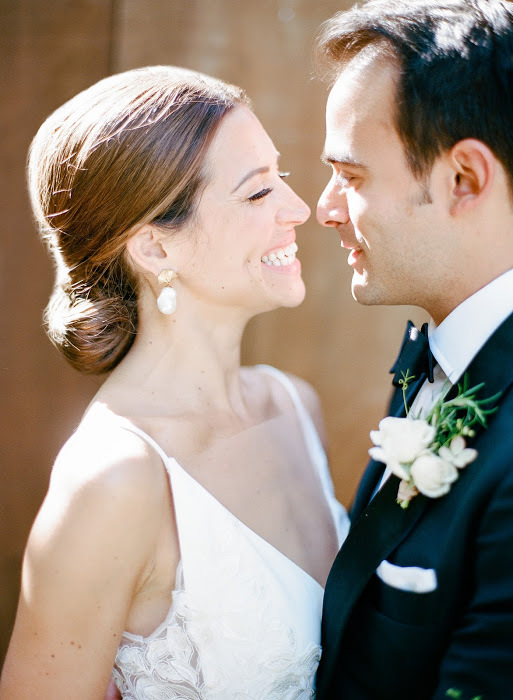 She wanted a classic chignon updo that was easy, yet beautiful and also allowed for her sophisticated wedding gown to be the star of the show. Our Stylists created soft, naturally enhanced makeup and hair looks for her bridesmaids and family members. Cristina and Chris wanted to celebrate their wedding with their closest family and friends and did just that at their elegant wedding. Her team of top vendors perfectly executed her sophisticated fete. We loved working with Cristina and know her photos will help her to reminisce on their special day 10 years down the road. See the full feature on Martha Stewart Weddings here. This fun, fashionable couple travelled from Colorado with a small group of close friends and family. We were lucky enough to work with the bride and create two beautiful, timeless makeup and hair looks for both her ceremony and reception. For the couple’s intimate wedding reception, they travelled out to a sandbar where they joined in marriage with their closest family. We went for a beachy, bronzy eye and natural, glowing skin to go with her two piece wedding dress. After the bride and groom tied the knot on this beautiful, warm day, they decided to jump in the water, which for every bride is the ultimate test of the Makeup Artist’s work and as expected for us, but to the bride’s surprise, her makeup was fully in tact. After their intimate ceremony, we went back to the hotel to create her second look of the day for her reception, which was a soft classic eye, and soft natural makeup to subtly enhance her beautiful evening dress as they were wisked away to their reception venue. We love a trendy, sophisticated couple who has impeccable style and they were just that. We are so thankful for our clients who put their trust in us to deliver an extraordinary experience on their wedding day. We’re always so humbled when our “friendors” consider us to be a part of their wedding day; they know how things work and how the chaos of weddings can be, and we are so honored when they respect our talent and expertise. It’s even more exciting when the bride is someone whose work we love and admire and we know because of her impeccable style, her wedding will be absolutely gorgeous. Before I moved to the Bay Area, I did some thorough research of who’s who in the wedding market and Jenny’s work wooed me immediately. Her soft, romantic style of photography is what brides’ dreams are made of when they envision their wedding photos, so you can imagine how giddy I was that she had our team be a part of her wedding day. Jenny is a perfect reflection of a Blush bride and when the photos by the amazing Trynh Photo came back I was blown away, yet expected how beautiful they were at the same time. We did a soft natural look for Jenny and a loosely swept chignon, which we adore and know she will still love when she looks at her photos in 20 years. 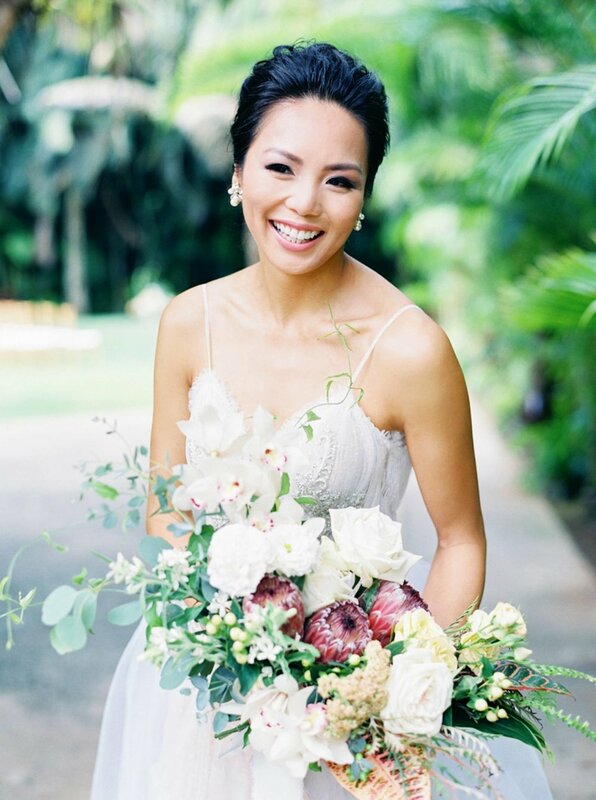 Her classic bridal beauty paired with her sophisticated tropical style perfectly paired for a stunning destination wedding. 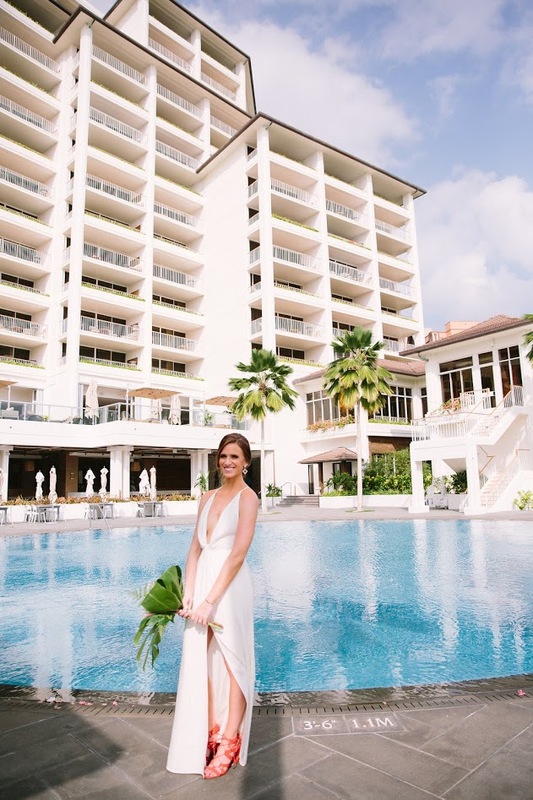 So much so, Pacific Weddings, the authority in luxury destination weddings featured Jenny’s wedding on their blog. With a top tier team of vendors, we knew her wedding would be featured on a luxury destination blog at some point. Makeup and hair stylist is one of the most important and crucial, yet undervalued vendor in the wedding industry. Many brides believe they can do their makeup and hair themselves, but in actuality bridal makeup and hair is not everyday makeup. It is a type of makeup that requires using just the right technique and application to look flawless in photos and in person. Brides spend thousands of dollars on their dress, shoes, flowers, and ring, but skip out on their makeup and hair. Blush Makeup & Hair is a boutique wedding makeup and hair based in San Francisco and Hawaii. 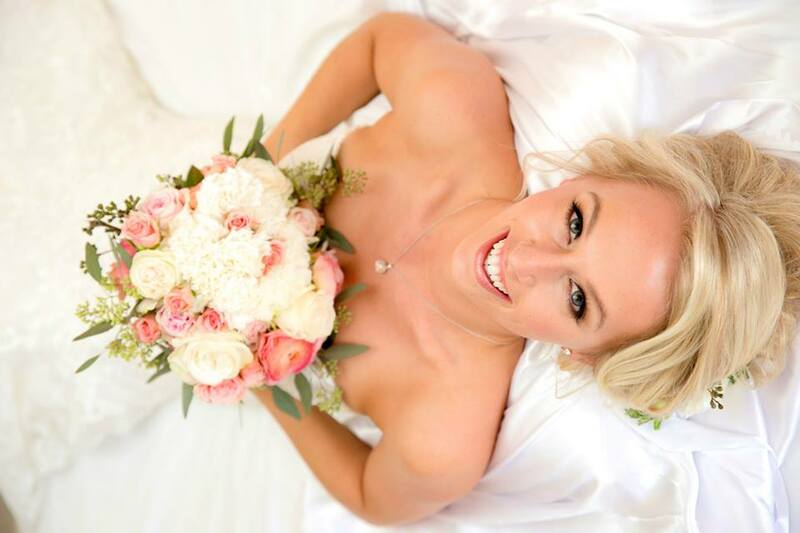 Blush provides luxurious beauty experiences that help brides look and feel amazing on their big day. Blush is also available for domestic and international travel. Simone had to be one of the nicest, most laid-back brides I have ever worked with not to mention a classic beauty who I thought slightly resembled Audrey Hepburn. She wanted her makeup to be glamorous and dramatic so we focused on accentuating her blue eyes with a warm toned bronze smoky eye. Her overall look was flawless and classic. She and her groom had a few close family and friends for an intimate beach wedding on the grounds of Ko Olina. The photographs by Australian photographer Shelley Rogers captured the beauty of not only of the gorgeous Hawaii scenery, but the love that this couple shared. Blush Makeup and Hair is a San Francisco and Hawaii based boutique wedding makeup and hair styling company. Serving the Hawaii, Maui, Oahu, Lanai, Kauai, San Francisco Bay Area, and Napa Valley. December 13, 2014 (12/13/14) was a big day for weddings and I was fortunate enough to work with the beautiful Kari. I am in awe of how beautiful Kari looked on her wedding day. She was absolutely radiant! 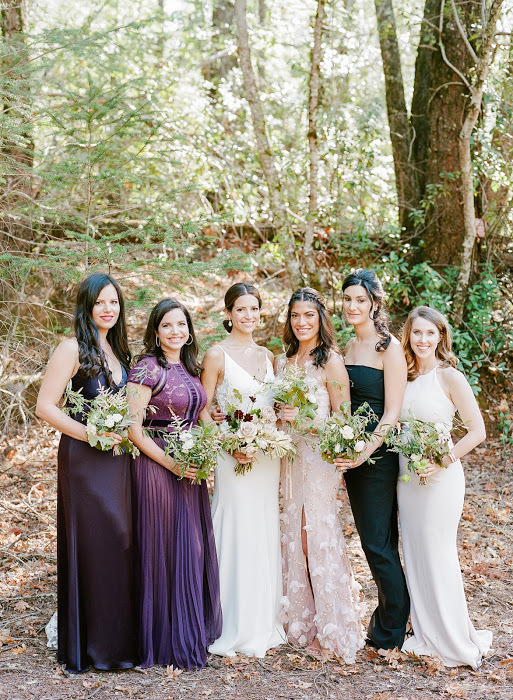 Every little detail from her bouquets to bridesmaids' dresses to her makeup and hair were perfect and she had the most beautiful color palette of pink, blush, beige, and cocoa and her romantic chic style was right up my alley. Slater Robinson did an amazing job with her photos and captured the beauty of both Kari and our beautiful island. Congratulations Kari, we wish you all the best! Katy and Joe got married at the gorgeous Loulu Palms on the North Shore of Oahu, and I was fortunate enough to style her for the wedding. She is a natural beauty and we did very soft and light makeup that just enhanced her beautiful face. She wanted a soft, loose, and curly undo and I think the end result was stunning! Pinky did an AMAZING job photographing their day and the photos perfectly complimented the soft, romantic style that they wanted. 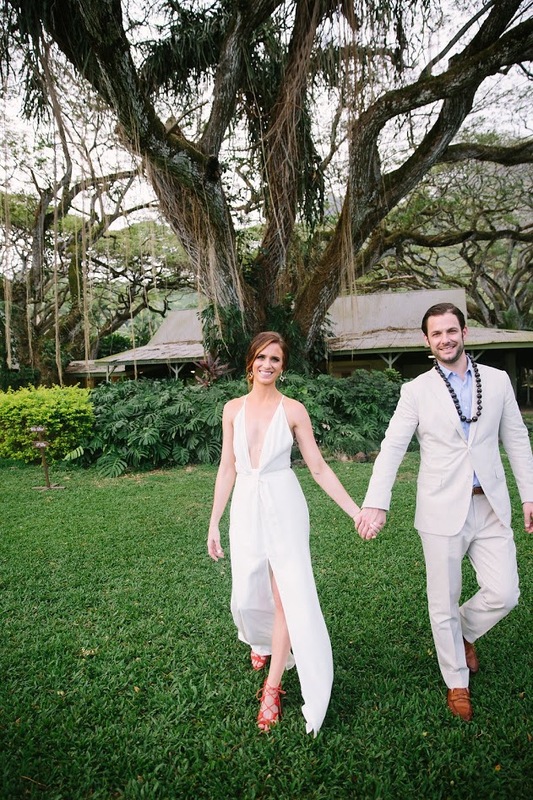 Our beautiful bride Rachel's wedding at the Polo Fields in the countryside was featured on Modern Weddings Hawaii. She wanted the focus of her makeup look to be on the eyes, while the rest of the face enhances her beautiful features. For hair she wanted volume and braids with a soft, romantic updo. She looked absolutely stunning and perfect for a romantic, polo wedding. Please visit Modern Wedding Hawaii's blog for the full feature.